You know those situations where things don’t exactly go to plan, but you just decide you can’t do anything about it and just go with it? That was today. I had planned a birthday party in the park for Chance and Darby yesterday, but due to fevers and a spot of spew, decided to postpone to today, and hope for the best. And I got it! 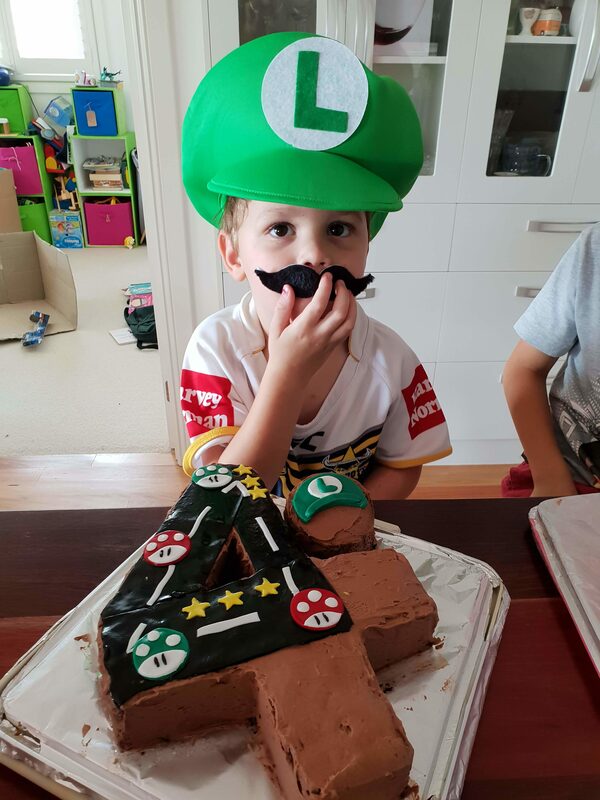 The boys are really into Super Mario at the moment, with Chance always choosing to be Mario, and Darby in love with Luigi, pronounced “Louie-Gee”. It’s the best! And easy to find inspiration for their cakes! I also found the hats and tashes on ebay, and just couldn’t resist! 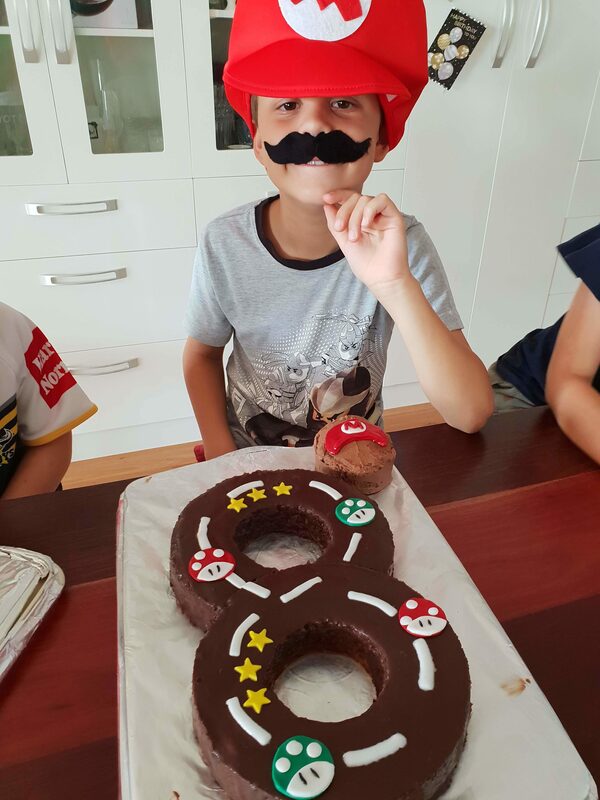 I had so much fun making the cakes, (the 8 was my signature orange polenta cake with chocolate ganache, and the 4 was the best chocolate cake with chocolate icing – I’ve been making this for years and it’s best served at room temperature, for those playing at home) and it was nice to take my time with the decorating. I used pre-made royal icing (it’s the best!) and put it all together fairly easily. With a glass of bubbly and no interruptions, it was a great Saturday night in my books! My heart is so full as I type this and look at the photos. 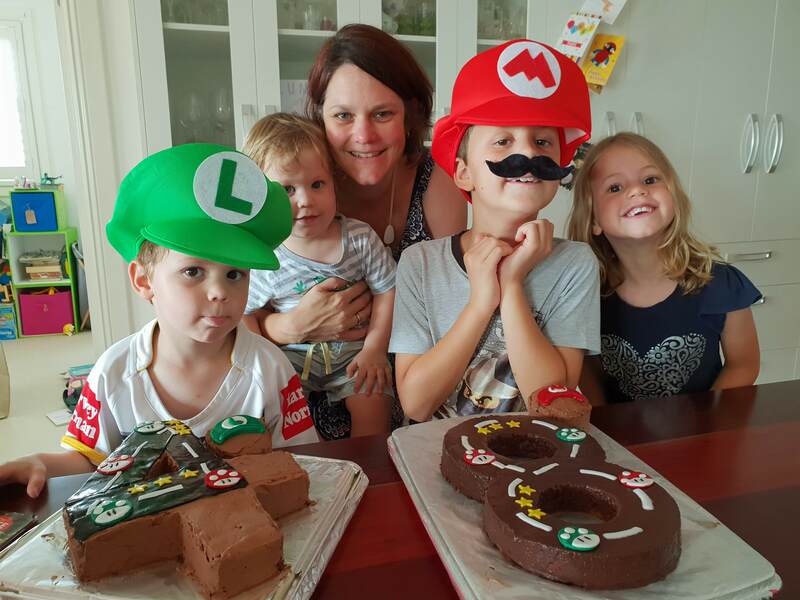 It was really exactly what I was hoping it would be – easy, relaxed, a few kids to play with, lots of adults around to help with the kids, (thank you in particular Nathan, Josie, Uncle Felix and Aunty Kate!!!!!) and very happy kids. In my present circumstances, what more could I possibly ask for? The perfect end to a marvelous day.